Living sustainably is simple. You’ve probably never heard that sentence before and you never truly considered what it meant. But fortunately for you, this statement is as true as it gets—living a clean lifestyle, free of waste is something anyone can do. You’ve developed habits while living a certain way up to this point in life. 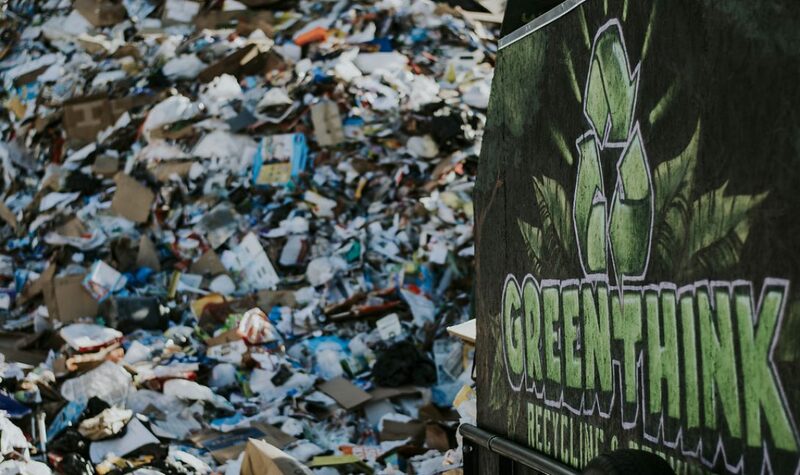 Recycling has never been at the forefront of your mind, but now you want to do your part. Changing is hard to do and can often feel like an inconvenience. But the small changes you implement into your life can make a big difference. Teach your children while they’re young about the importance of reuse and you will make more of a difference than your recycling habits ever could have. The future of our planet rests on the shoulders of our younger generation. It can feel difficult to gather the family around each week for a lesson on recycling. However, all you need to do is settle in to the dinner table and have a conversation about it; it doesn’t need to be a formal setting. Emphasize the idea that this planet is the only one we’ve got. If we don’t take care of it, it’s going to end up like the rusted bike that sits in the corner of the garage—we’ll all be looking for a replacement. Point out your daily actions you do to reduce waste in your home. You send them packed lunches in reusable lunchboxes, instead of a paper bag. They carry a metal, refillable water bottle in their backpacks to refill in the drinking fountain when they’re thirsty. You even have a compost bin to keep food waste out of the landfill and instead bring it back to the Earth. These minor things you do in your day-to-day life are the perfect examples of how simple waste management can truly be. You’re doing your small part to keep the oceans a deep blue and the grass a rich green. Set a goal as a family to live a less wasteful life (and now is the perfect time to choose it as your New Year’s resolution). There are probably countless items that end up in your wastebasket every month that shouldn’t be there, yet you bring your garbage bin out to the curb each week, spilling over the top of the lid. Pick one item each month, write it on the fridge and set a goal to catch each of these before they end up in the landfill. As a family, you’ll work together to catch these items—and can even keep score of how much each person pulls out every month. What better excuse to go out for ice cream to celebrate that family member? When it finally becomes a habit, pick a new item and by the end of the year your waste will be minimized beyond anything you could have imagined. Contact your local waste management services. What kinds of bins do they offer? You can line the side of your home with a garbage bin, recycling container, a glass bin and even a compost bin, depending on your location. Keep the recycling bin in a central area. Talk often about the things that do and don’t belong in there. Print out a diagram if you need to, and keep it by the bin so your children can learn while they’re young. Most importantly, teach them to be careful about their purchasing habits. Minimalism is something that can be taught when they’re young and practiced their entire life. From their early years, they will learn the best ways to reduce their waste and keep the state looking happy and clean. Next Post Zero Waste Bloggers: the Future of Waste Management?